Public Relations is like Baseball.. In so many ways. Being the sports fanatic I am, I’m constantly drawing comparisons between life and sports. So naturally, when I joined the team at Image Marketing Consultants based in Connecticut, and began working in the public relations industry, I looked to find a connection. And here I am, with a full month under my belt and I have finally come to the conclusion that PR is a little like the game of baseball. It sounds like a stretch but let me explain the three things that are necessary to be successful in both baseball and public relations. In baseball….. Anyone who has ever played the game knows that you are only as good as your preparation. A player that doesn’t do the proper training before the season will not succeed during the season. In public relations…..In the same way, a public relations campaign is only as good as the people who prepare it. A well planned campaign will create some great buzz, but a poorly planned one will often times fall flat and be ineffective. A little extra time spent on the prep work will ensure the campaign is delivered in the most effective way. In baseball…..You can have all the skill in the world but without a little creativity once in a while you become easy to predict, and in baseball when the opponent can predict your next move, you’re in trouble. That creativity can sometimes be the difference between winning and losing. In public relations…..Of all the factors that decide whether a PR campaign is successful, creativity is one feature that if ignored, will produce poor results. You can launch the campaign perfect in every other way but if the message is delivered in a boring way, people will ignore it. The same goes for the opposite. If it’s creative and delivers the message in a new and exciting way, people will most definitely take notice. In baseball…..Unlike many sports, baseball is not one that is played at a frantic pace. In fact, it’s nearly impossible to succeed playing that way. 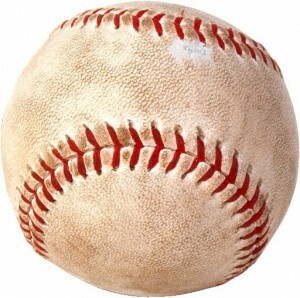 In the same respect baseball employs the longest season of the four major sports, spanning 162 games, over the course of upward of seven months. To be successful is to be patient, and understand a team cannot be judged on single games but rather on performance over an extended period. In public relations…..What any business needs to understand is that a PR campaign takes time; it’s not a one hit job. PR works best when maintained over a period of time. A single press release or social media update are great tools and will deliver the message. But the proper combination of these tools, sustained over a period of time, will make that message stick. Call me today to discuss how Image Marketing Consultants can help you plan the best PR campaign of your life today at 203-404-4868!